At Beulah Bay we have two shelters, Friends of Beulah Bay is the one on Walleye Lane. The other one by sites 13,14,15 is Eagles Pavilion. 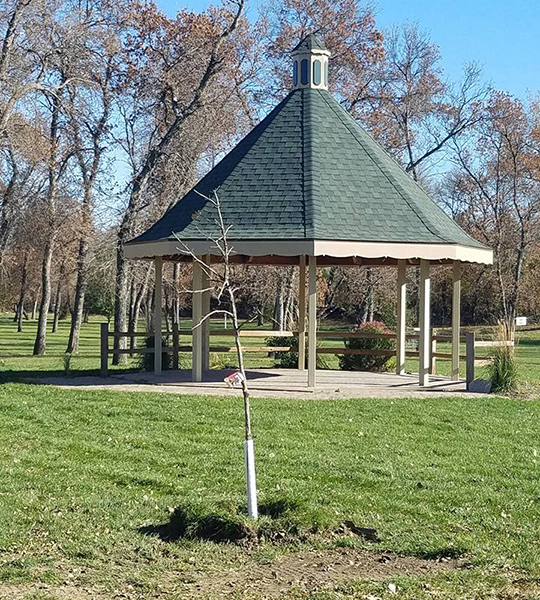 At Riverside Park we have the Gazebo, Shelter 1 (closest to the gazebo) Shelter 2 (Lions Shelter), and Shelters 3, 4 and 5 (northeast side of the park). Cost: $30/day for Friends of Beulah Bay, Eagles Pavilion, Gazebo, and Shelters 1 and 2, $15/day for Shelters 3, 4, and 5. $100/day for 75 or more people for Friends of Beulah Bay, Eagles Pavilion, Gazebo, and Shelters 1 and 2. *Reservation includes a $50 deposit. If shelter is sufficiently clean and undamaged, deposit will be returned in the form of a check.